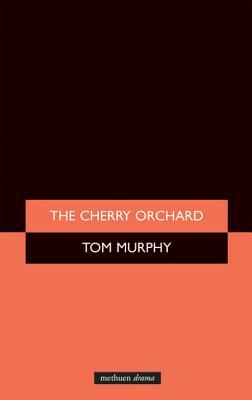 The Cherry Orchard (Methuen Drama Modern Plays) (Paperback) | The Drama Book Shop, Inc. In Chekhov's tragi-comedy - perhaps his most popular play - the Gayev family is torn by powerful forces, forces rooted deep in history and in the society around them. Their estate is hopelessly in debt: urged to cut down their beautiful cherry orchard and sell the land for holiday cottages, they struggle to act decisively. Tom Murphy's fine vernacular version allows us to re-imagine the events of the play in the last days of Anglo-Irish colonialism. It gives this great play vivid new life within our own history and social consciousness. Tom Murphy's plays include On The Outside, A Whistle in the Dark, Famine, The Morning After Optimism, The Sanctuary Lamp The Blue Macushla, Conversations on a Homecoming, Bailegangaire, Too Late for Logic, The Wake. His Awards include The Irish Academy of Letters Award, the Irish Times/ESB Lifetime Award, the Irish Times/ESB Theatre Award. He was born in Tuam Co. Galway. He lives in Dublin. ?The most distinctive, the most restless, the most obsessive imagination at work in the Irish theatre today.' --Brian Friel Anton Chekhov first turned to writing as a medical student as Moscow University, from which he graduated in 1884. Among his early works were short monologues, The Evils of Tobacco, one-act farces, The Bear, The Proposal, The Wedding, and the extremely long Platonov material. His first completed full-length play was Ivanov (1887) followed by The Wood Demon (1889), Three Sisters (1901) and The Cherry Orchard (1904).